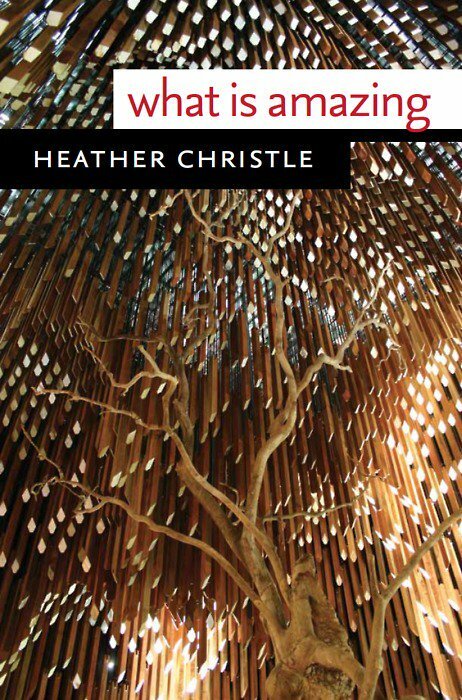 Earlier this year, I spent a memorable week reading through the four books of poetry by Heather Christle. Digesting the work of her debut collection (The Difficult Farm) from 2009 up to her most recent (Heliopause) from 2015, Christle's bibliography feels like a series of coffee high vibrations and solemn echoes. Surrealism dancing with whimsy. Playful reflections twisting into cosmic realms both inviting and deeply moving. Like climbing to the top of a lighthouse, tripping on a blueberry, and falling all the way down to the first step. Like wrapping up a ball of yarn the size of a smart car and having it unwind down the street. With a non-fiction crying book in the works, as well as a month focusing on poetry, Heather Christle is writing away in 2018. I spoke with the Yellow Springs, Ohio resident about cardinals, gardens, shadows, book recommendations, and one hell of a writing prompt. How has 2018 been treating you so far? It began with a darkness that is now decreasing. You've spent the last five years writing a non-fiction book on crying. Can you talk about the process as well as its current stage? It has been a difficult book to write. As you can probably imagine, the research has led me into some extremely sad terrains. 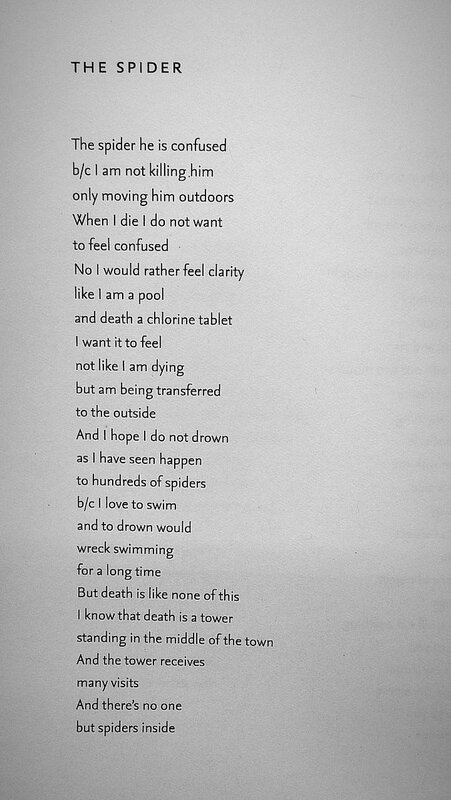 Right now I am taking a month off from working on it, and writing poems instead. 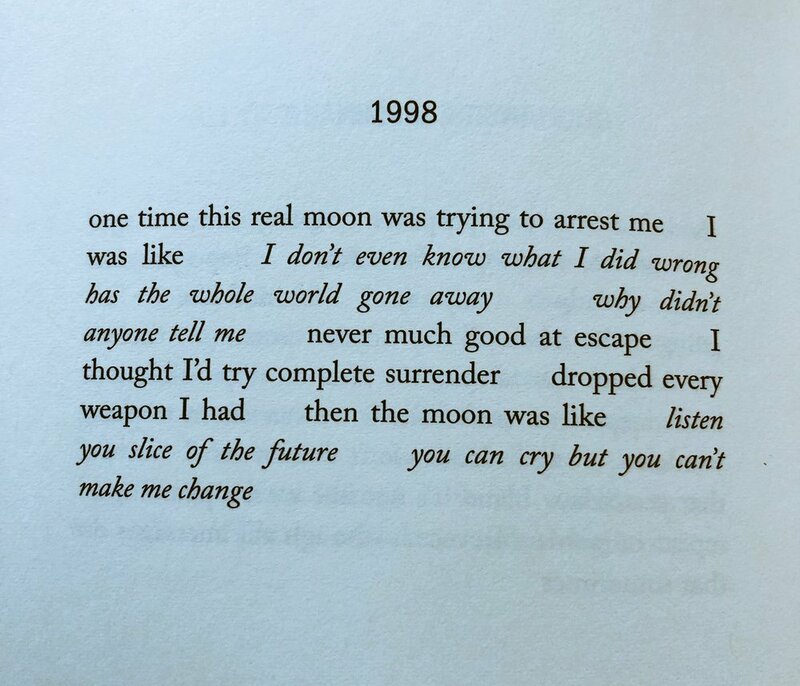 I can feel a different kind of strength building up from this, one I hope will carry me through the crying book's completion. Do you have an anticipated release date? Once the book is out into the world, do you see yourself continuing down the road of non-fiction? I do not, and I don't know! I usually do not know what I will be making in the future. Maybe I will make a garden. Maybe it will be a non-fiction garden. Who can say? Heliopause was created and released during this five year period. Is it easy for you to shift between writing styles? Are certain days of the week devoted to certain styles, or do you focus on one particular discipline for months at a time? It has been a time when I have missed making poems very much, and when my mind has felt capable only of "working on the book." I am hopeful that--given the pleasures of this month of poems--the switch between the two might grow less stiff. Your poetry takes me on a roller coaster ride, feeling like a pinball in an inviting arcade game. The poems are often very free-flowing. Do you practice automatic writing and heavy edits? Or do you tediously hone in on each and every line from the jump? The poems I write quickly and with few revisions. When I wrote poems, I write them abundantly, and many are discarded. I think they don't mind. You mentioned in your Divedapper interview about the progression of tone in your books, stating that "the shadows are longer." In the three years since that interview, how have your shadows evolved? They look more like me. I don't know! Do you? Right now I see two cardinals out the window, and I expect the rest of the year will have more of them in it. I'd be glad if the year included a little more justice and liberation in it. I hope I can work toward that. Outside of your own work, who/what have you been reading recently? For this ongoing author interview series, I'm asking for everyone to present a writing prompt. It can be one that you craft out of thin air, it can be one you created a while ago, or it can be one you adore from an outside source that was passed down to you. Write the letters of the alphabet you use at the top of a piece of paper and treat them as a palette. Mix them up according to their shapes and observe which words want to emerge. Do you have any advice for writers/poets working on their craft? Any final thoughts / words of wisdom? Can't answer this; would die.